GodivaChocolatier Assorted Chocolate Gold Favor, Pink Ribbon, Set of 12, 4 pc. GodivaChocolatier Assorted Chocolate Gold Gift Box, Royal Ribbon, 36 pc. 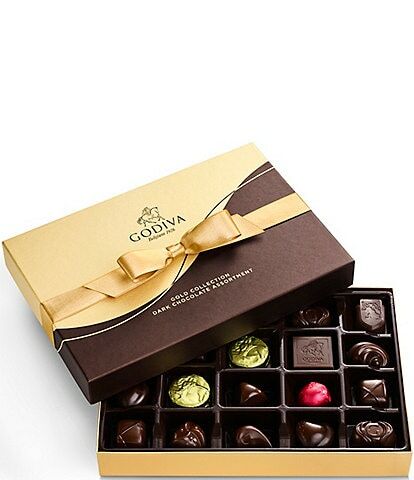 GodivaChocolatier Assorted Chocolate Gold Favor, Black Ribbon, Set of 12, 4 pc. 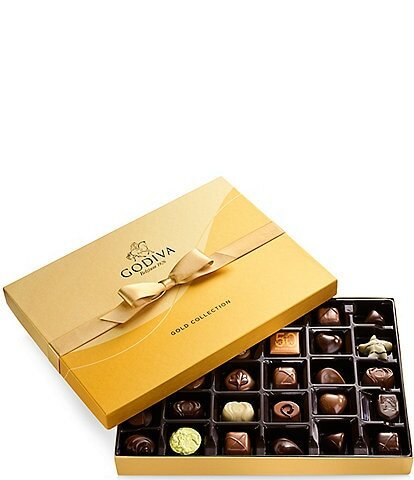 GodivaAssorted Chocolate Gold Gift Box, Thank You Ribbon, 36 pc. GodivaChocolatier Assorted Chocolate Gold Favor, White Ribbon with Heart Charm, Set of 12, 4 pc. GodivaChocolatier Assorted Chocolate Gold Gift Box, Striped Tie, 36 pc. 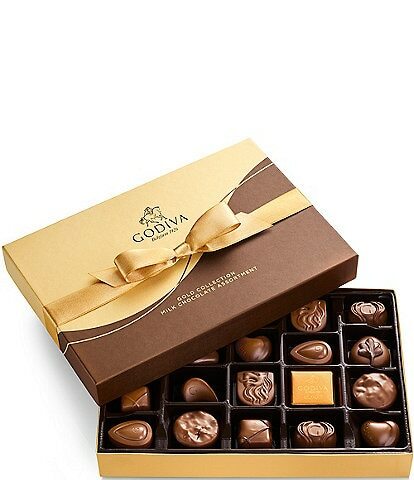 GodivaChocolatier Assorted Chocolate Gold Favor, Gold Ribbon, Set of 12, 4 pc. 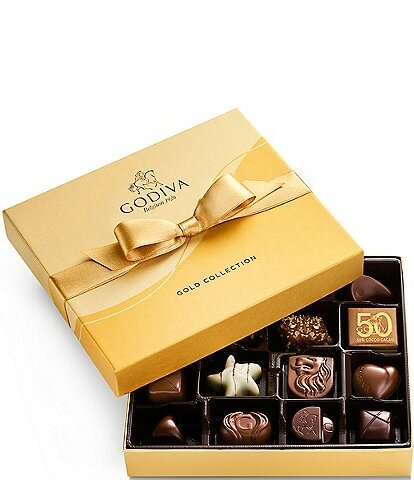 GodivaAssorted Chocolate Gold Gift Box, Happy Birthday Ribbon, 36 pc.